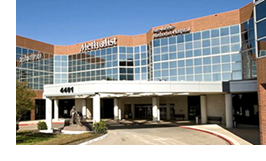 ​​​​​​​BAYTOWN – Houston Methodist San Jacinto Hospital has opened its new observation unit, the first part of its $100 million expansion project at 4401 Garth Rd. The expansion is comprised of three major projects—an 85,000-sf outpatient facility, a 20-bed observation unit, and a new emergency room with 45 treatment rooms and a three-story tower. Both phases of the new emergency room should be complete by fall 2019. The outpatient facility is expected to come online in early 2019.